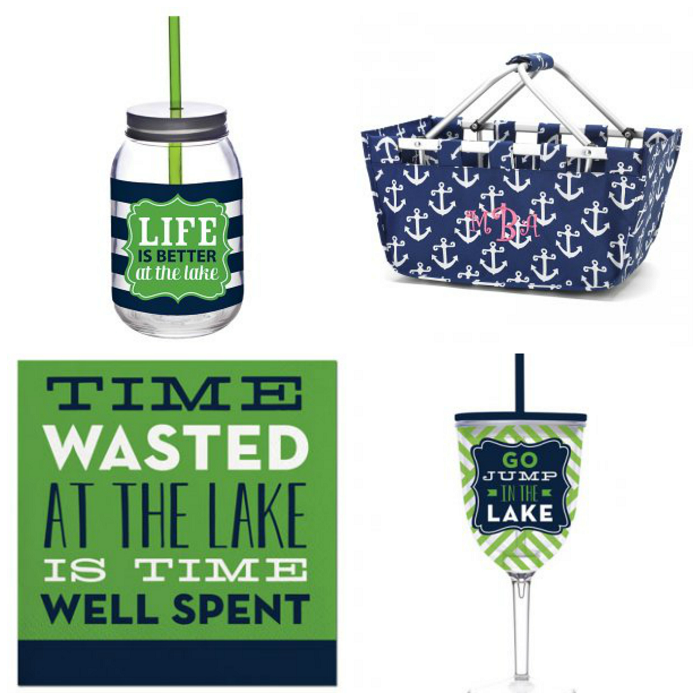 Sparks Ever After: Lake Party Essentials + A Giveaway! 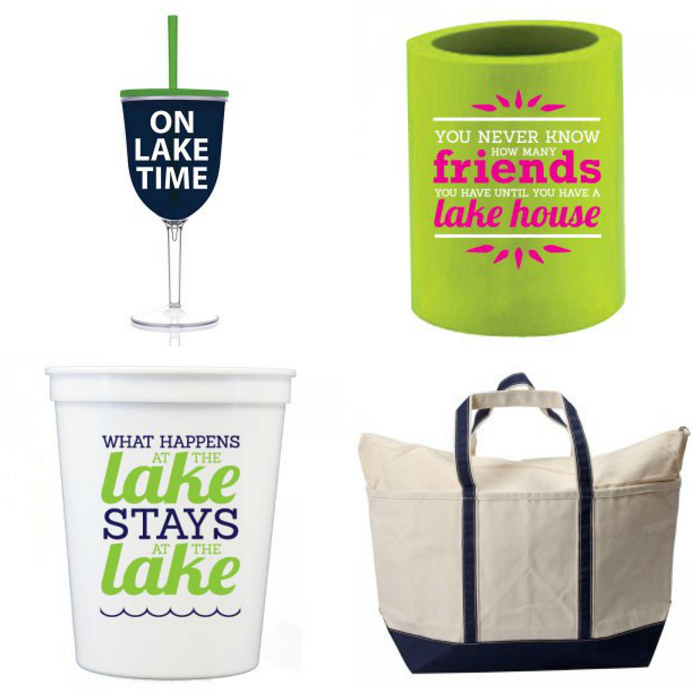 Lake Party Essentials + A Giveaway! By now, you know that my favorite place to be on the weekends is at my family's lake house. It's my happy place. I love spending time there no matter what the season is, but I especially love this time of year on the lake. The boat covers have started to lift, and the lake begins fill with laughter from from families. Summer on the lake is also a time when our famous family "lake parties" begin. In fact, the first of many parties at our lake house will kickoff this weekend. The guys have a big fishing trip planned and the girls have big plans to lay out and drink fruity boat drinks all day. It's going to be fabulous! Before the parties can start, however, we have to stock up on a few lake goodies. This is where Swoozie's comes in. 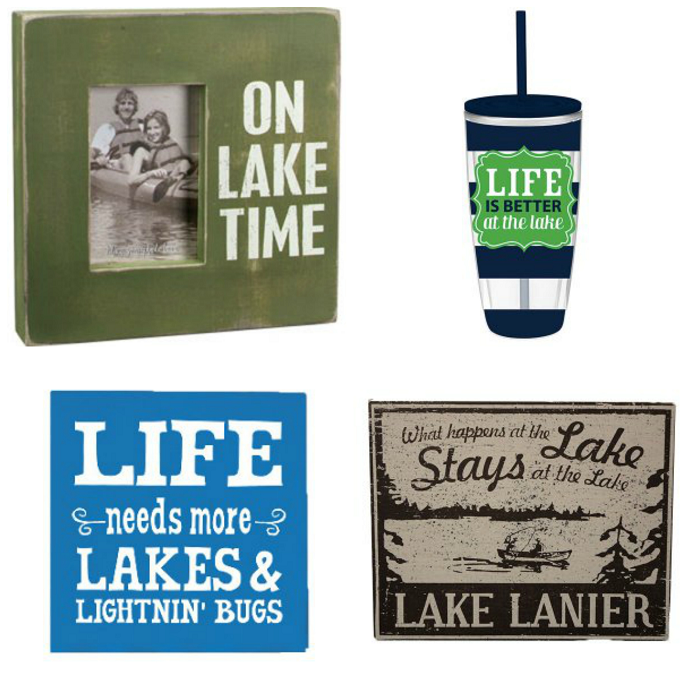 Swoozie's is the perfect one stop shop to gather all our summer lake goodies. From cocktail napkins, to tumblers, to picture frames, Swoozie's has it all! I have my eyes on a few adorable mason jar glasses that will be perfect for sipping my fruity cocktail on the boat! Swoozie's has eight locations across the United States as well as an amazing website full of anything and everything you need for your summer soiree. Swoozie's also has a plethora of gifts for Graduation, Father's Day, and everything in between! And, because Swoozie's is so awesome, they are giving away a $20 gift card to be used in store or online. Enter below for your chance to win. Good luck! Enter using the Rafflecopter widget below. Winner will be chosen next Thursday, June 5th. Ughhhhh how did I not know about this place before?!? I'm a little of an alchy, so...I'd most likely buy a good drankin cup with a cute saying on it! I would buy everything. But actually, any of those cups or bags! I love Swoozies!!! I want one of everything in the store please! It is my go to place for gifts because you really cant go wrong! There are seriously so many great things on there I don't know what I would choose! I was like mason jars...no candle...no frame...I WANT IT ALL! I love all of this stuff! I would just have to change it all to say "beach" then it would be perfect for me! Weird that no one else realized it until now? If I win I would buy a towel/tote set! Thank you so much for letting me know about that! I had no idea. I guess that is what I get for not double checking! All of the glasses and mugs are so cute! Nothing better than being on the lake! I would totally get the mason jar cup. All of this makes me happy since my family has a house on the Colorado River. I love it all! I love the ban.do Power Trip set! Thanks for the giveaway! I would TOTALLY get one of the tumblers! 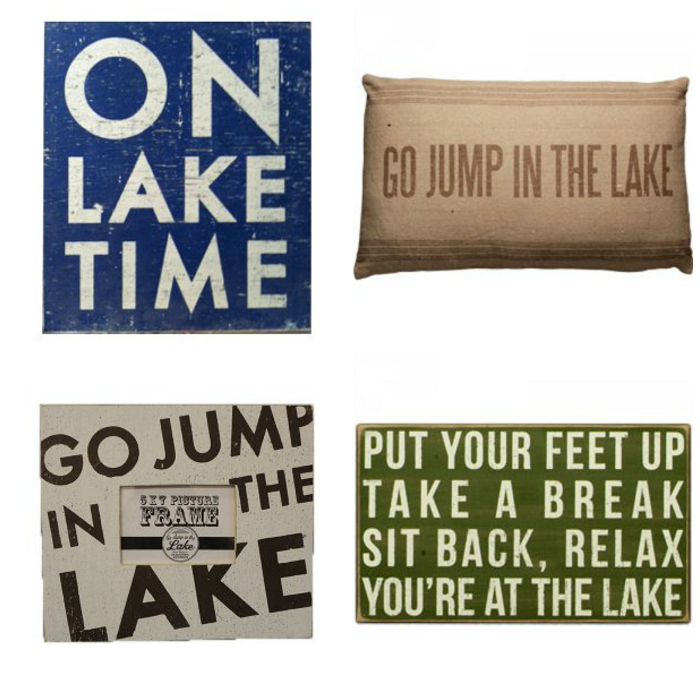 I use them all the time at our lake house! What wouldn't I buy? I think the tote would be my go to purchase! Okay, this shop is adorable! I want all of it haha. I absolutely love the mason jars and the tote bag! I like the toot sweet pink stripe plates for my daughter's birthday!